Satisfy your craving for trendsetting fine jewelry design. Le Vian® is the internationally renowned fine jeweler with a storied past tied to the historical jewels of ancient royalty and a trend setting present bejeweling hundreds of celebrities for Red Carpet appearances each year. 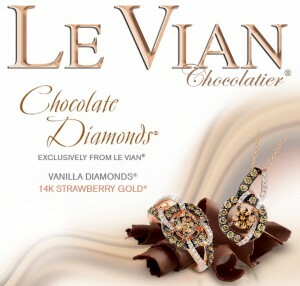 The world’s leading innovator in fine jewelry, Le Vian creates the hottest new design concepts uniquely flavored with the sweetest diamonds, gems and gold.